The 7th Torneo Internacional de Ajedrez de Valladolid took place on 27th November in Hotel “Novotel” in Valladolid, Spain. The tournament with 112 participants was played over 8 rounds of Swiss system with the time control of 15 min + 5 sec increment. 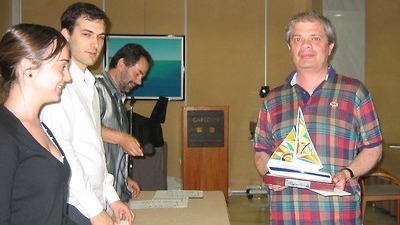 There were more than 30 money prizes with 500 EUR reserved for the first place. GM Dragan Paunovic’s last round victory against the famous trainer IM Boris Zlotnik pushed him ahead of the rest of the field for a clear first place with 7.0 points.